One of the best things about visiting Hong Kong apart from seeing my mom of course is picking up great gifts for Wok Star Wannabes and friends. While I want street vendors to make money since their merchandize are so cheap already, I didn’t appreciate them treating me like a ‘tourist’! I know my Chinese vocabulary and accent is not up to par (I took French and also left Hong Kong when I was 13 and went to boarding school in England) but jacking prices up 6 times just doesn’t sit well with me. 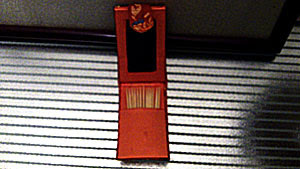 Children especially love eating with chopsticks. 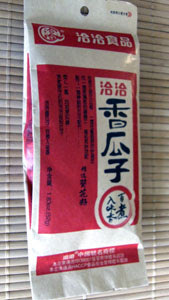 It makes eating Asian food so much more fun, exotic and enjoyable. 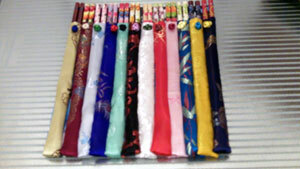 I think these colorful chopsticks with brocade holders are a bit over the top with too much design but everyone loves getting them. 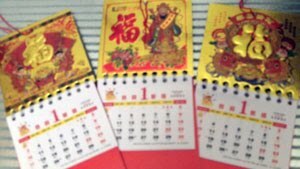 These cute baby Chinese New Year calendars were so adorable, I just had to grab a few. 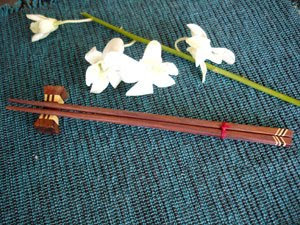 Both chopsticks and calendars will make great door prizes in my Wok Star classes. 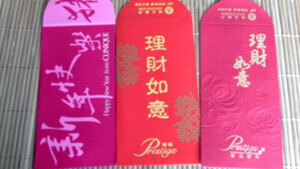 Here are a variety of beautiful Chinese New Year “red packets” handed out by banks and businesses. 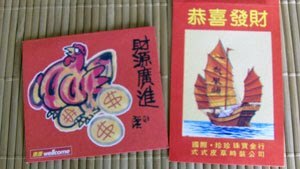 I wrote about this ritual in two Chinese New Year of Ox and Rat posts. As kids, we never got to keep our red packets with money cause my parents used to take ours to “regift”! 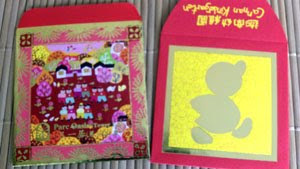 When you open my Wok Star Kit, you’re greeted with this lovely red packet holding a little buddha inside. Giving it’s tummy a rub a day will bring you luck! 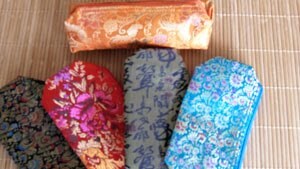 I didn’t have success finding materials for my wok mitts this time but hopefully can pick them up locally. 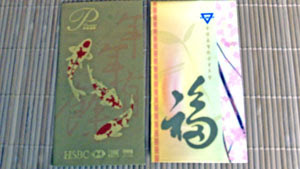 HK Gifts for friends etc. I can never resist getting these covers which can transform your generic tissue box into a gorgeous Asian one in a jiffy. 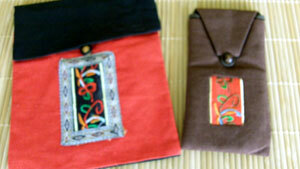 I am so dying to “market” these on my website, I know you’ll love them as much as I do. It’s such a great gift idea for any occasion. 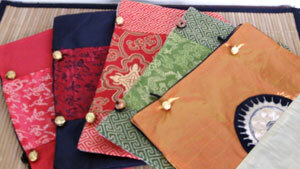 These little brocade bags are great for your makeup or just about any little knick knack. I’m not sure I want to part with any of them. 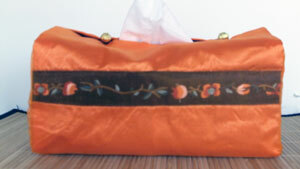 This lovely evening bag goes really well with my padded lightweight coat I got on my last trip. 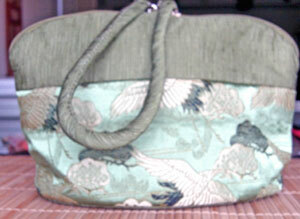 More unusual bag and glass case or cell phone holder. 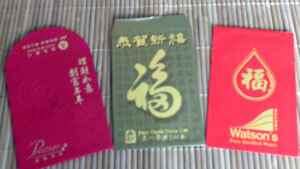 Tiny samplers of Chinese teas are also great gifts. I separate these out and only give one tin out at a time. My husband loves to snack on Sunflower seeds in their shells (I hate them messing up the car.) 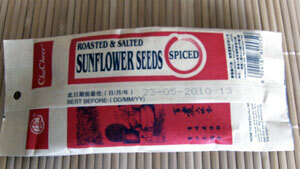 I got this because the packaging was so intriguing, umm, wonder what kind of “spiced”. 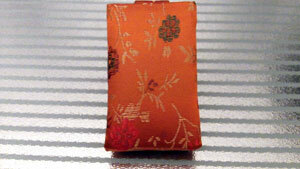 The ultimate, luxurious brocade toothpick holder with mirror. It was so cute, I had to have one. Bet Louis Vuitton will want this monogrammed like they did with the rosewood chopsticks and holder for something like $499. 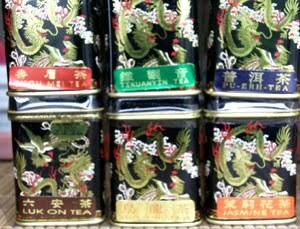 They looked exactly like the same ones I got in Penang (well, without the monogram but at a price, I can do it, ha, ha)! 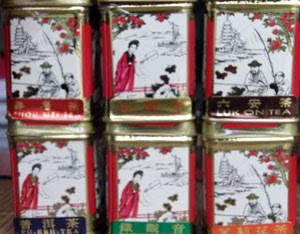 Take a look at this beautiful blog all about Chinoiserie Chic to see the LV box with chopsticks, not to be missed. Do check back for lots more from my Hong Kong trip, next one Peking Duck, my all time favorite dish!